What does a company owe its clients? Is it simply a transaction or should there be something deeper? Should a company share its core mission, be transparent about its values, and in so doing create expectations that it must live up to? At Strategic Retirement Plans, the answer is a resounding YES! Today we want to be as transparent as we can and share what we believe our mission as a financial planning company is, the values we operate by, and finally our promise to our clients. We are a full service financial planning firm that partners with our clients to provide a holistic retirement plan that aims to create streams of income. Our goal is to fully understand the retirement dreams and goals of each individual and to be passionate stewards of those dreams and goals with integrity and excellence. At Strategic Retirement Plans we do not have clients, we have family. We believe that a relationship must first be established before any business can be conducted. We want to fully understand your hopes and dreams before we sign any papers. We put the person before the portfolio. When the waters of retirement move fast or slow, a steady stream of income can provide the confidence one hopes for in their retirement years. Our goal it is to help you best plan for a steady stream after the years of hard work it took to get there. Everyone wants to trust that their finances are in good hands, but they also want to know that they are cared for beyond what their portfolio shows. Our national award-winning advisors not only have the experience, but also the heart and integrity to be there for you in the good times and bad — because that’s what families do. Your financial plan isn’t just about what you invest in, it consists of everything relating to your financial situation. This includes planning for your estate, taxes, insurance, investments and finally retirement. You can’t succeed at one, unless you succeed at all. A holistic approach is our promise to make sure nothing slips through the cracks. Clients can find “advice” anywhere, but compassion and full professional service are rare. Clients at Strategic Retirement Plans can expect deep conversations that get to the root of your retirement goals and hands on service to help them strive to achieve those goals. Pursuing your financial goals requires endurance and a coach to help educate and encourage along the way. 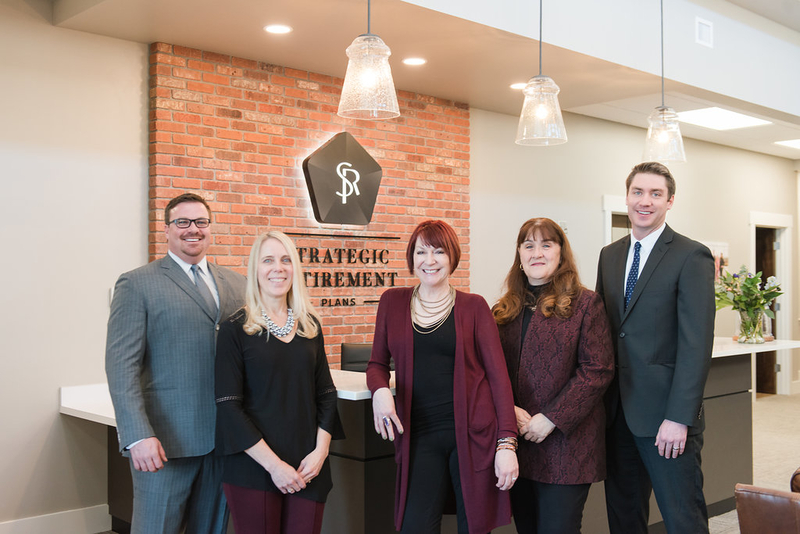 The team at Strategic Retirement Plans will come alongside and be there through the ups and downs of financial planning. While you may start as a client, you’ll end up as a member of the family. These promises, values, and mission are what we strive to live by each day. The best way to summarize it is simply at Strategic Retirement Plans, we are “Your Stewards for a Complete Retirement”.We believe this is the expectation each client should have for us and the expectations we have for ourselves. It’s not just lip service, it’s who we are! If that sounds like the kind of company you would like to partner with, we’d be honored to have the opportunity to chat.